It feels good to be making visible progress on our latest project. I just wrapped up the waterproofing portion of the guest bathroom remodel which means I am one step closer to getting the tile on the wall. With the first bathroom we renovated, I used Schluter-KERDI Shower to build and waterproof our shower. 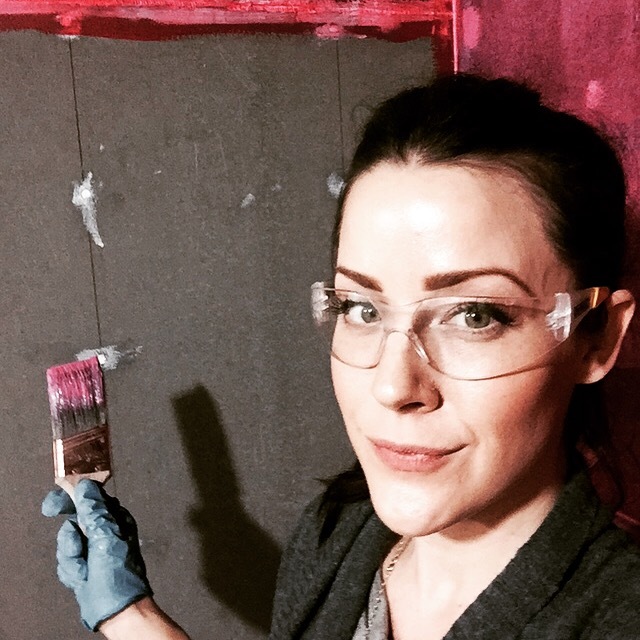 Kerdi is a fabric waterproofing membrane that gets hung like wallpaper. It took me about 4-6 hours to get it done and it appears the most expensive waterproofing option on the market. This time around I used Redgard. 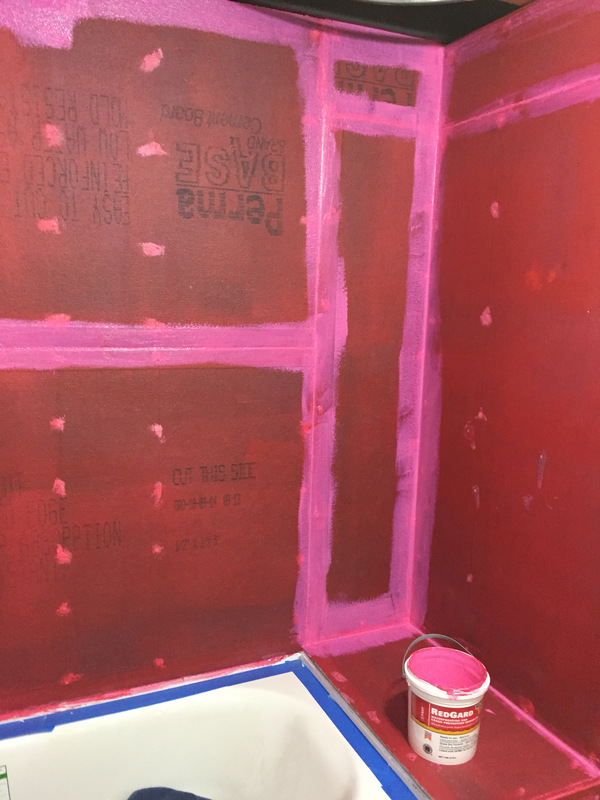 Building and waterproofing a shower/tub surround with cement board and Redgard is more cost effective than Schluter. Plus, it is way easier. 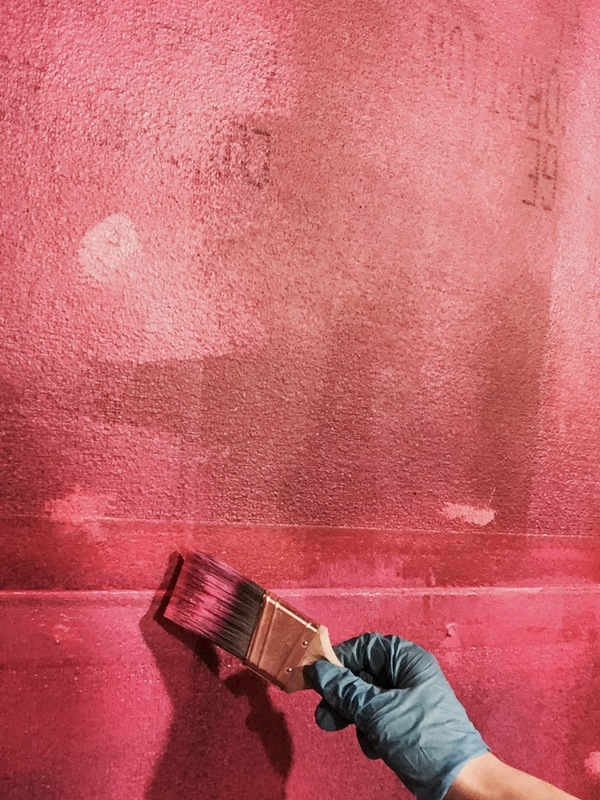 Imagine you’re painting walls with hot pink greek yogurt… That’s exactly what it’s like. 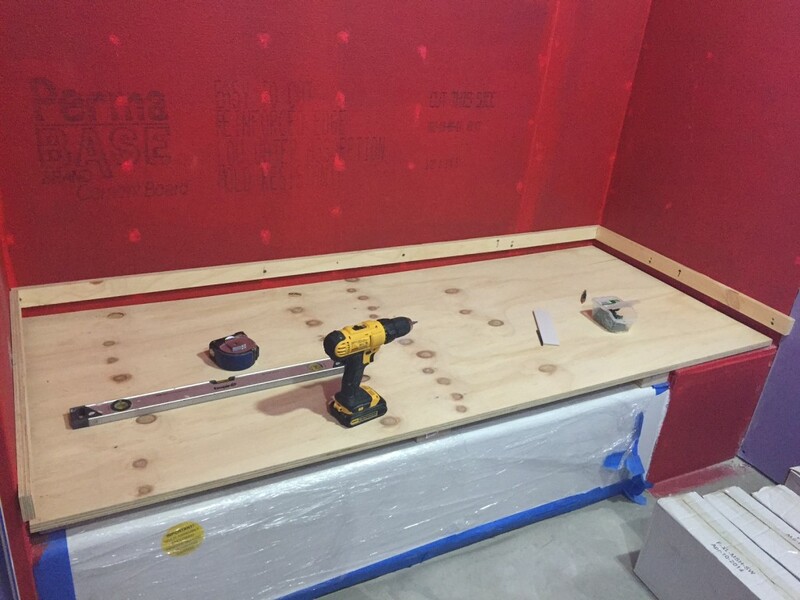 Cement board is hung just like drywall, and fastened to the studs with cement board screws. Then it is ready for Redgard. The corners get painted first, then the rest is rolled on. It’s bright pink when it’s wet, and then it dries red. When it’s dry, you recoat it going the opposite direction than you did the first time (if you rolled vertically, now you roll horizontally). After the second coat dries, take a peek throughout the whole surface and check for any pinholes or holidays to touch up. 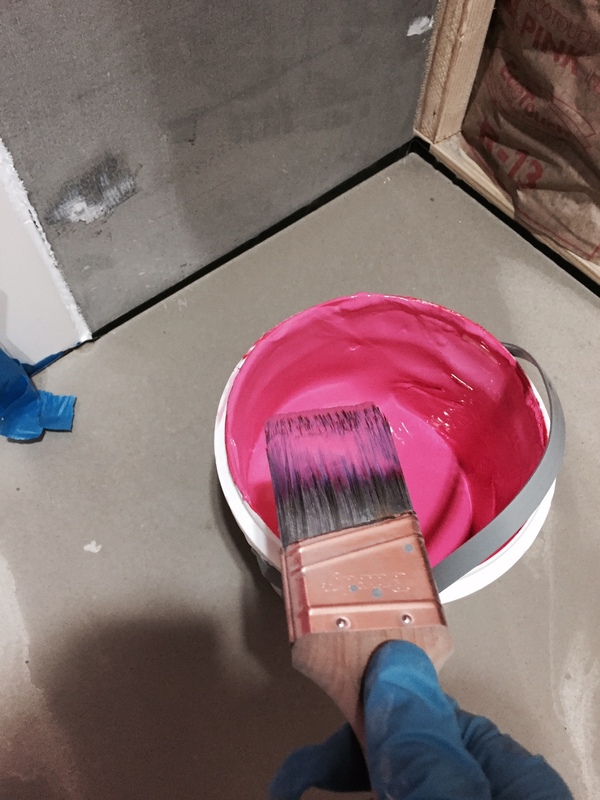 I had about 70 sqft of cement board to cover, and actually had enough Redgard in my 1 Gallon pail for almost three coats- so I did *almost* three coats, and I also did the strip of floor in front of the tub. There’s a great blog I’ve used as a resource for all my bathroom/tile/shower renovation needs, The Floor Elf. He’s got a free “Shower Waterproofing Manual” that I think everyone should take a look at if they are embarking on such a task, and he also has a full library of other ebooks to purchase with more in-depth explanation. Now I’m ready for tile!